Lørdag den 16. oktober spiller Springtsteen tribute bandet Backstreets på kulturhuset Hagelund i Trysil. Tidspunktet for konserter er klokken 19.00 og billetter kan kjøpes på servicetorget på rådhuset i Trysil. Billettene koster 220 for voksne og 100 kroner for de under 18 år. Les mer om denne konserten på Trysil kommunes hjemmeside. I dag slippes trippel DVD'en "The 25th Anniversary Rock and Roll Hall of Fame Concerts" med blant annet Bruce Springsteen. Konserten ble holdt i Madison Square Garden i slutten av oktober i fjor. Smakebiter fra "The Promise: The Making Of..."
Den 7. oktober sender fjernsynskanalen HBO dokumentarfilmen The Promise: The Making Of The Darkness On The Edge Of Town. I den forbindelsen er det nå frigitt noen klipp fra denne dokumentarfilmen som aldri tidligere har blitt vist. "Springsteen ‘really recorded four albums of material for this one album"’ says producer Jon Landau. "When we played the outtakes back for the band, they had forgotten recording them". Les mer om den kommende utgivelsen av Darkness boksen i artikkelen fra Rolling Stone. 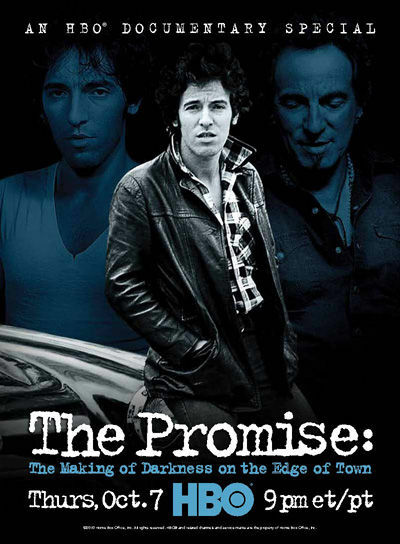 I forbindelse med filmfestivalen i Toronto har Bruce Springsteen reist til Toronto for å være til stedet under premierevisningen av "The Promise: The Making Of Darkness On The Edge Of Town". 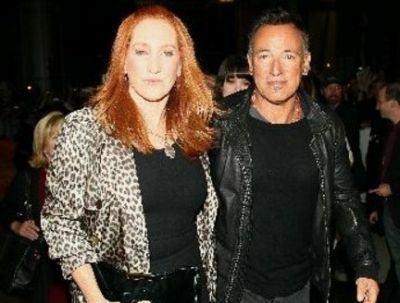 Med på turen var også Patti Scialfa. Et av høydepunktene, ved siden av visningen av filmen og forhåndshøring på noen av låtene, var Edward Norton's 70 minutters intervju med Bruce Springsteen. Les mer om dette intervjuet hos nj.com. Under seansen i Toronto fikk man også en forsmak på åtte av låtene som man vil finne på de to CDene som vil bli utgitt med boksen. I tillegg til dette fikk man også se fem videoer fra den kommende utgivelsen. Jon Landau startet det hele med å fortelle litt om prosessen bak albumet. Han forklarte blant annet at disse uutgitte sangene, som vi nå vil finne på The Promise 1 & 2, skulle ha vært på albumet som var tiltenkt å komme mellom "Born To Run" og "Darkness On The Edge Of Town". Men som alle kjenner til så var det en pågående rettsak som hindret at disse ble utgitt i denne perioden. This cut has mostly the same lyrics (although the car was a '32 Ford instead of a '69 Chevy), but the music is radically different. The piano is much more up-tempo, it's flooded with harmonica, and sonically it has a similar feel to "The Promised Land." Danny's great organ melody remains intact, but here it's smothered with a guitar solo. Perhaps the most girl group-esque of any song in Bruce's catalogue, this features some great backing vocals (I think it must have been Stevie), and the whole vibe of the song evokes the Ronnettes. Considering how often Ronnie Spector and Bruce crossed paths in '76 and '77, I wondered if this song might have been inspired by Bruce's introduction to her. Seems obviously inspired by Buddy Holly, with a tempo that evokes "Peggy Sue." A fun song that provides a lot of insight into the range of what the Darkness sessions had to offer. At one point in the documentary, Bruce noted that Landau was a big gospel fan, and this song might have been written with him in mind. Churchy backing vocals by what sounds like a trio of ladies, and a drum sound that reminds me of the one Jimmy Iovine created with Tom Petty on songs like "Refugee." Also, there's a great guitar solo that sounds like it walked right out of a Sergio Leone spaghetti western. In the intro, Landau mentioned that Bruce threw a lot of these songs out when they were still works in progress, so a handful of them needed touching up, and even some finished lyrics (similar to what the Stones just did with the Exile on Main Street bonus cuts they issued earlier this year). I wonder if this is one of those songs, because while listening, I really felt like the chorus sounded distinctly like current Bruce instead of '78 Bruce. Is it possible this song was handed off to Patti Smith when it didn't even have a chorus? "Ain't Good Enough For You"
My favorite of the songs previewed. For anyone that's always believed the E Street Band is the greatest bar band ever, this song is for you. Featuring a handclap chorus and plenty of whoa-oohhs in the backing vocals, this is Bruce at his most fun. A good R&B feel, and similar to the work Southside Johnny was doing at the time, this also features one of the most unusual lyric pieces I've ever heard from Bruce, name-dropping his then-engineer: "cool like Jimmy Iovine." Considering how famous Bruce is for creating characters within his songs, he's rarely referenced a real person, let alone a friend. Extremely similar to the well-known version by Southside Johnny, this is, nonetheless, a delight to hear in its original E Street version (though I liked the impromptu Bruce & Stevie version in the documentary even better). Every bit as good as its legend. While listening to this song, you really gain understanding that it's the missing link. It's the transitory song where the characters from Born to Run became the characters on Darkness. In many ways, this is the moment where young, romantic Bruce became Bruce Springsteen: the man. For those of you who have only heard the re-recorded version from '98, you’re in for a revelation. "Badlands" & "Streets of Fire"
These performances were both taken from a complete performance of the Darkness album the band did in December of '09 in Asbury Park especially for director Thom Zimny to use for this box set. No Patti, Soozie, or Nils on these songs, just the guys that originally recorded the album (and, of course, Charlie filling in for Danny). The band nailed them both, particularly "Streets of Fire," a song I'd never seen in concert. Bruce told a funny story when he addressed the crowd after the sneak peak. Following almost two full years of touring, he and the band went to go record this live version of the Darkness album — but Patti told him he had to be home for dinner by 7. 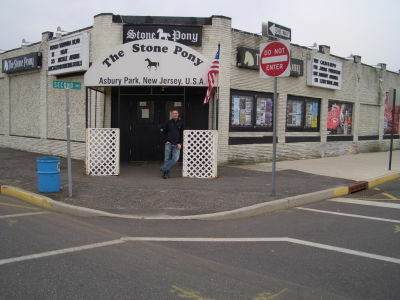 So when he got to Asbury Park for the filming, he told Zimny that he only had time to do two run-throughs; luckily, one of them was more than good enough. Live in the studio from the original sessions, with Bruce shirtless and sporting an amazing afro (looking very much like Brad Delp, lead singer of Boston — it's clear Bruce has been hiding photos of this era from public display). It's unclear what band members are on the session, but Stevie's on percussion ("Miami, lookin’ good!" Bruce shouted right before they began). The song is much slower than what we’re used to, and I enjoyed thinking of an alternate reality Darkness on the Edge of Town where "Candy's Room" was the slowest song on the album and "Racing in the Street" was one of its best rockers. The song is good, but it's so radically different that I found it disorienting. It'll take a few more listens to really decide what I think. "The Promised Land" & "Prove it All Night"
Two live performances from ’78 (different shows, though), that make clear how good the tour was. "Promised Land" was great, but the real treat here is "Prove It." For anyone that has never heard this song live from '78, it might be the best part of the whole box set for you. The version of "Prove It" I've had on a '78 bootleg from Jersey has, over the years, become my go-to song to play for anyone wondering about the E Street Band in concert. With the long piano/guitar intro that builds the momentum, the song was stretched out to a ten-minute-plus epic that rivaled "Rosalita" in show-stopping intensity. It also showcases, to great effect, the guitar hero side of Bruce that always seems to take the back seat to Bruce the singer and Bruce the songwriter. I går var det igjen klart for det som nå har blitt en årlig tradisjon, nemlig en benefit konsert for skolen til en av Springsteens unger. Denne gangen var det til inntekt for Boston College, hvor Bruce's eldste sønn Evan går. Stedet var Stone Pony og som backing band var det igjen Bobby Bandieras Band som stod på scenen med Bruce. Max Weinberg var også med på trommer mens Southside Johnny var med på noen låter. Konserten varte i to timer og 40 minutter. Bruce Springsteen & The E Street Bands to konserter i fjor sommer har blitt kåret til tidenes beste konsertopplevelse i Bergen. Det er leserne i Bergens Tidene som har stemt frem vinneren av denne kåringen. I kveld viser svensk TV1 andre og siste del av Spectacle: Elvis Costello with guests med Bruce Springsteen som gjest. I tv serien Spectacle: Elvis Costello with guests er det i kveld Bruce Springsteen som er programmets gjest. Som eneste gjesteartist er Bruce Springsteen med i to programmer - i kveld og neste fredag. "Elvis Costellos talkshow får besök av Bruce Springsteen både denna vecka och nästa. I Elvis Costellos talkshow framför både han och gästerna även sin musik, både var för sig och tillsammans".